Our intent is to invest in people, ideas and effective organisations who, through their work, serve to strengthen society. The big issues that will fundamentally effect our society and shape our future are the effects of climate on how we live and the international and national response to the refugee humanitarian crisis and the impact of that on society. None of these issues are too big to make a difference to. All can be brought back to the local and all will have implications for the people of Munster, Ireland and the wider world. The solutions and responses will be local. The quality of our response to these issues will be shaped by the quality of our debate, the strength of our communities, our sense of identity and our empathy. These in turn will be shaped by the quality of our media, our education, and the levels of inequality and inclusiveness in society. Emma joined the Trust as the first member of staff in July 2016. Her brief is to ensure that the Trust achieves impact over the next ten years. 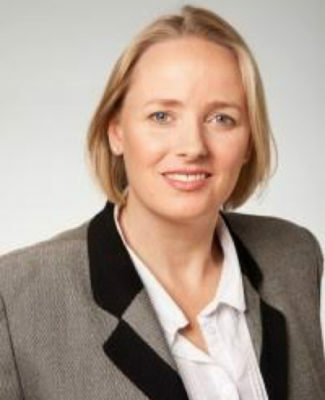 Emma was previously Deputy CEO of the One Foundation and Advisor to the Tony Ryan Trust. Within the area of social change and improving outcomes, Emma has worked on all sides of the table. Starting her non-profit career with Comhlamh and Integrating Ireland in 2001, she joined the One Foundation in 2005 to lead on Foundation Strategy and the Children and Youth Programme. In 2003 she was seconded to the Department of Children and Young People to support the development of Better Outcomes, Brighter Futures, National Policy Framework for Children and Young People. She later joined Tusla, the Child and Family Agency to support its organisational development and reform including the integration of the Educational Welfare and management of School Completion. This has given her unique insights and valuable understanding of the contributing perspectives and barriers to change. Emma has served on the Boards of the Irish Refugee Council, the NCCRI, Dochas and Stand Up For Children and is currently a Director of Benefacts. A qualified management accountant and programme manager with a post grad in Implementation Science (TCD 2015) and BA in History and Politics (TCD). Journalist, Broadcaster and Social Entrepreneur. 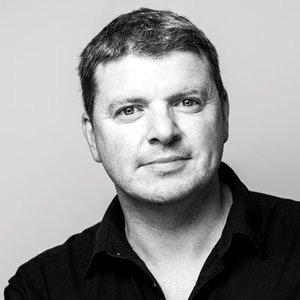 Graham is the Founder and project lead of ‘TogetherIreland’. Together Ireland aims to promote and enable integration, at all ages, in towns and communities across Ireland. To bring old and new members of the community together by helping to link local services, social clubs, sporting entities, church groups and business forums with those new to the community – especially to those who have moved from outside of Ireland. To identify barriers to integration locally and seek ways to overcome them. To make local groups and businesses aware of the opportunities created by a more cohesive and integrated town. Through research and action in our three pilot towns of Fermoy, Mitchelstown and Cahir we will formulate a framework which can be adapted to other towns across Ireland. In tandem with our work to encourage local communities to take practical steps to enable greater integration we will provide funding for an initiative or event which celebrates diversity in the town. The Tomar Trust is governed by a Board of Trustees. The final decision on all grants lies with the Trustees. Our accounts are audited annually by Ernst and Young and filed with the Charities Regulator.